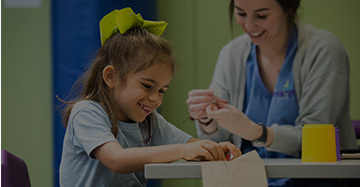 Our comprehensive hearing programs for children and adults are led by licensed audiologists who have earned Master's or Doctoral degrees, state licensure through the Louisiana Board of Examiners, and Certificates of Clinical Competency through the American Speech-Language-Hearing Association (ASHA). 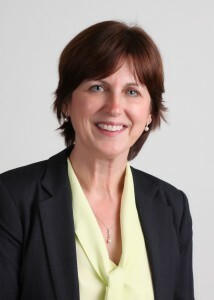 Nicole B. Stockstill, M.S., CCC-A joined the Baton Rouge Speech and Hearing Foundation in 2013. She is a clinical audiologist who has worked in the Baton Rouge Community since 1998. She received her undergraduate degree from Louisiana State University and her Master of Science from University of Southwestern Louisiana. She holds a Certificate of Clinical Competence with the American Speech-Language-Hearing Association (ASHA) and is currently licensed to practice audiology in the state of Louisiana. Nicole currently hosts numerous educational seminars for industrial, educational, and medical professionals in our clinic and in the community. Nicole is a native of the Baton Rouge area and enjoys spending time with family and friends, outdoor sports, and cheering for the Tigers and Saints! As an active volunteer in the community, her church, and her children’s school, the desire to give back to the community brought her to The Emerge Center. Providing the gift of hearing to the residents of Baton Rouge and the surrounding areas, in combination with spreading awareness and education about hearing loss and hearing loss prevention, has been a driving force in helping Nicole advance Emerge’s mission. Nicole’s belief is that education is the key to everything and everyone deserves to experience life to the fullest – hearing loss should not be a barrier to that goal! 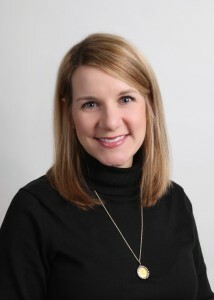 Dr. Natalee Menge joined the Baton Rouge Speech and Hearing Foundation team as Lead Audiologist in June of 2008. She is certified by the American Speech Language and Hearing Association and is also a fellow of the American Academy of Audiology. She received her Bachelor’s Degree in Speech Language Pathology from Texas Christian University and her Doctorate in Audiology from Louisiana State University Health and Sciences Center in New Orleans. 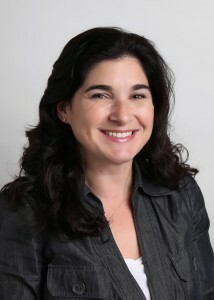 After five years seeing patients, in December, 2013, Dr. Menge assumed the role of Director of Operations and Administration, putting her clinical knowledge to use managing the daily operations of the clinic. As part of the senior management team, Dr. Menge works alongside our Executive Director in business matters that impact the Center. Dr. Menge enjoys outdoor activities with her family and cheering on her favorite football team, the New Orleans Saints. Melissa is a licensed speech-language pathologist who holds Bachelor’s and Master’s Degrees in Speech-Language Pathology from Louisiana State University. She has 30 years’ experience as a speech therapist working with young children, including work in East Baton Rouge Parish Schools, The Arc, the Ascension Parish Headstart Program, and at our center in the early 1990s. Through philanthropic work experience while living abroad, Melissa felt called to work in the non-profit world. Since being named Executive Director in 2007, Melissa has seen an increase the number of children served in the Therapeutic Preschool from 40 to over 125 children monthly, and in the number of children served in our Integrated Autism Program from 12 to 60 annually. 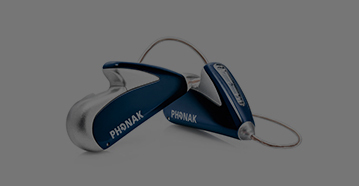 The Audiology outreach program has grown to serve over 300 free hearing screenings annually. Melissa has established a successful fund development program which has grown over 20% annually, tripled Emerge’s professional staff, and shifted Emerge’s business model to include private insurance payments, functioning with a high level of accountability for its donors and clients. Melissa has steered the organization through numerous strategic partnerships and growth initiatives, including completion of a $7 million capital campaign to build a new facility, a New Market Tax Credit Transaction, celebration of its 50th Anniversary, and the rebranding of the organization from Baton Rouge Speech and Hearing Foundation to The Emerge Center for Communication, Behavior, and Development. As a Speech Therapist, Melissa knows that communication is a wonderful gift. The belief that every child deserves the opportunity to?communicate and interact drives her passion for growing Emerge’s mission and services.